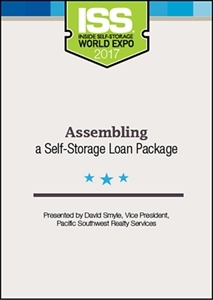 Need a self-storage loan? Know what lenders are looking for in a borrower/property? You will after this session! Our presenter will cover the documents you need to complete your package, how lenders qualify a borrower, how they evaluate the application and, most important, how you can make a good impression. He’ll also talk about the differences in applying for construction vs. permanent loans.